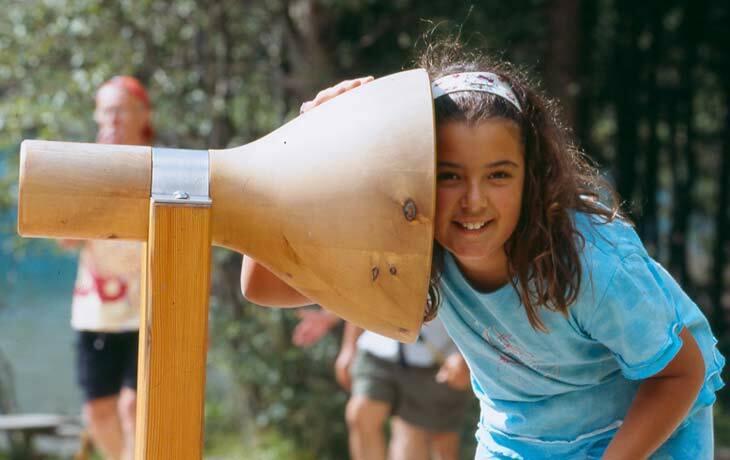 Founded in 1980, the Fanes-Sennes-Prags / Fanes-Senes-Braies Nature Park consists of an around 25,453 hectare area encompassing the municipalities of Abtei / Badia, Prags / Braies, Toblach / Dobbiaco, Wengen / La Valle, Enneberg / Marebbe and Olang / Valdaora. 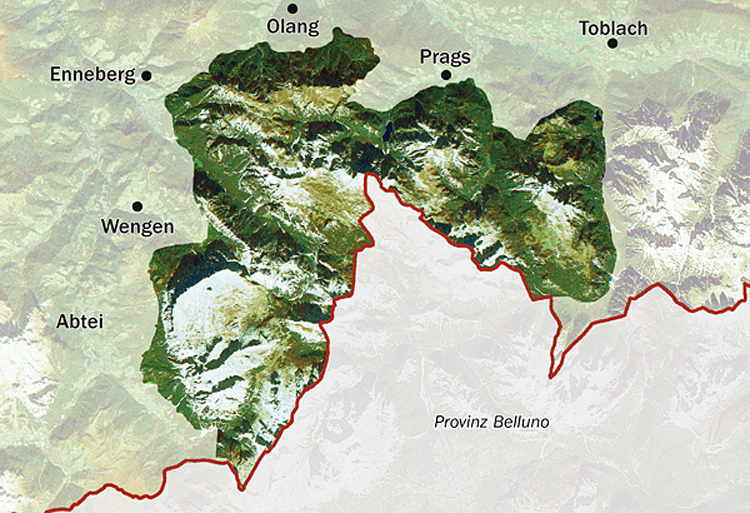 The mountain slopes that overlook Pustertal / Val Pusteria form the northern boundary of the park; its western boundary comprises the forested slopes overlooking Gadertal / Val Badia valley; in the south, the park extends to the south Tyrol border; and Höhlensteintal / Val di Landro valley marks the park’s eastern boundary towards the Sextner Dolomiten / Dolomiti di Sesto. The jagged peaks and slopes found here could easily create the impression of a virtually impenetrable mountainous region. But in reality, these rocky peaks and slopes surround and at the same time protect large expanses of Alpine pastures and highlands that exhibit tremendous morphological and landscape diversity and whose core elements are Fanesalm / Malga Fanes and Sennesalm / Malga Senes Alpine pastures and the Plätzwiese / Prato Piazza highlands. The Fanes-Sennes-Prags / Fanes-Senes-Braies Nature Park exhibits a characteristic Dolomite landscape. Large portions of the park are of considerable scientific interest owing to their complex geomorphology. The Fanes and Sennes highlands are characterized by karstification in every imaginable form, namely solution grooves, crevices, shafts, dolines and hollows. The protected park area also contains a number of lakes, including Pragser Wildsee / Lago di Braies lake, whose surface reflects the massive slopes of Seekofel / Croda del Beco mountain, and Toblach / Dobbiaco lake, whose marshes on the lake’s southern bank provide an important habitat for many water bird species. 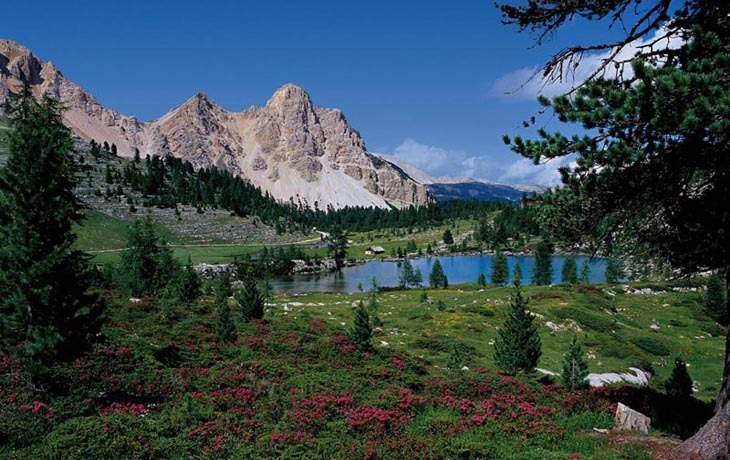 These waterbodies are among the best known natural lakes in South Tyrol. In summer 2009, due to their scenic beauty and their geomorphological and geological significance, the Dolomites were added to the list of UNESCO World Heritage Sites. 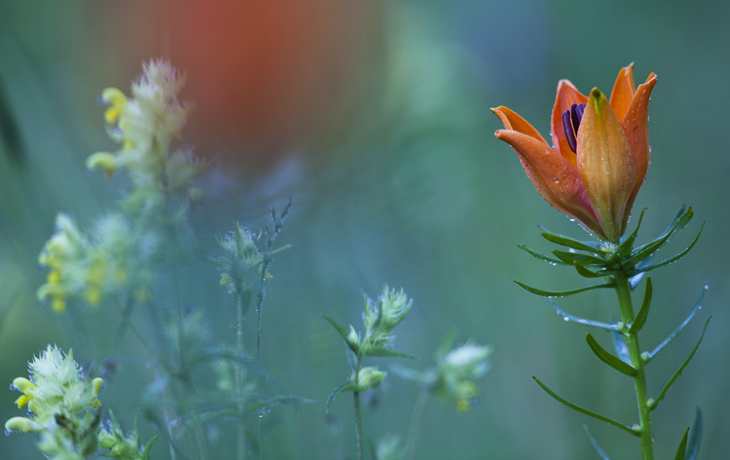 This carefully chosen list of sites includes the most outstanding and unique natural or cultural assets, whose protection is particularly important for the international community. 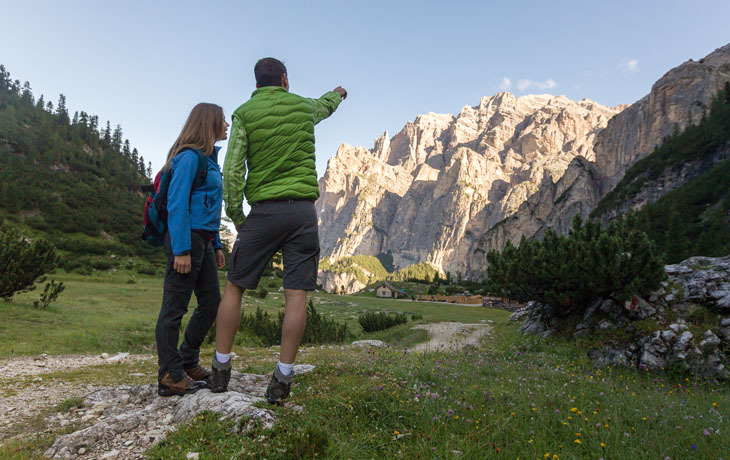 The Dolomites and with them also the Fanes-Sennes-Prags / Fanes-Senes-Braies Nature Park have thus been awarded the greatest recognition a natural asset may receive. Such recognition, however, also confers certain duties and responsibilities relating to the conservation and sustainable development of this extraordinary mountain region.